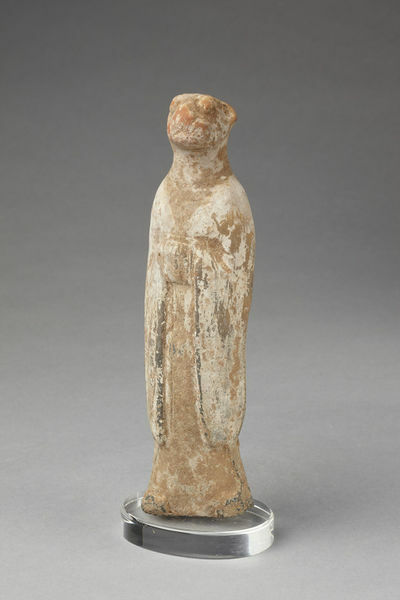 Figure with the head of a tiger, one of a set of twelve representing the signs of the zodiac. Earthenware with traces of pigment over a white slip. 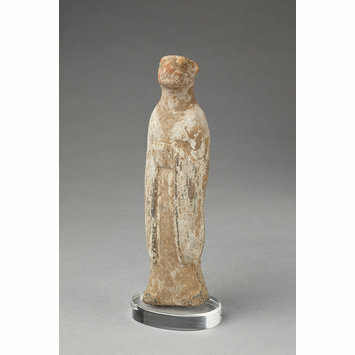 It is represented as a human figure with the head of a tiger, hands folded across the chest, draped in a long cloak. Using animals as signs in the calendar system first appeared in the Warring States period (475-221 BC) and during the Sui and Tang dynasties the animals appeared in many forms in tombs. Each animal is believed to exercise an influence according to its own attributes over the hour, day or year appropriate to it.